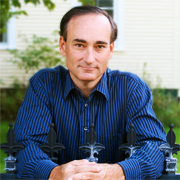 The first time I was introduced to author Chris Bohjalian, it was with The Night Strangers, a haunting tale that transcends the typical ghost story. It was a different kind of book for Bohjalian, one that stretched his imagination and storytelling to create a creepy atmospheric and supernatural thriller. 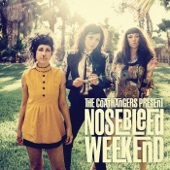 The Sandcastle Girls is nothing like that. It brings him back into more familiar territory, a vivid and captivating semi-historical novel that shares four generations of perspective with the focal point on Aleppo, Syria, 1915. It is there, in Aleppo, where one story ends. And it is there, in Aleppo, where one story begins. The relevance of Aleppo during the World War I. Although Aleppo finds itself once again in the midst of a modern-day struggle within Syria, it is one of the oldest inhabited cities in the world and has undergone scores of transformations, transitions, and transgressions. In 1915, it belonged to the Ottoman Empire, one of oldest empires in history before its collapse. By this time, the empire was in steady decline. Several political upheavals had caused it to teeter back and forth between a constitutional government with religious tolerance and a newly established "monarchy" that would aggravate growing ethnic conflicts. With the outbreak of World War I, the Ottomans had allied with Germany, largely because of their long-standing conflict with Russia. While some might debate whether Ottoman-Armenians in Anatolia used the war to break from the empire or were merely reacting to an escalation of Christian and Armenian resentment, the result was the same. The Russian victories in Anatolia caused ethnic and religious tensions to reach a peak. Almost immediately, the Ottoman Empire issued Tehcir Law, which evacuated and deported Armenians before descending into massacres and genocide. Between 1 and 1.5 million Armenians were killed during what Armenians call the Medz Yeghern. It is also during this dark period that Bohjalian introduces Elizabeth Endicott, an American who volunteers to join a humanitarian mission with her father, a doctor, on behalf of the Boston-based Friends of Armenia. Interestingly enough, she is introduced to the reader by her descendant, Laura Petrosian. Petrosian is a novelist living in New York who begins to discover her Armenian heritage. The four generations of perspective on a dark page of history. 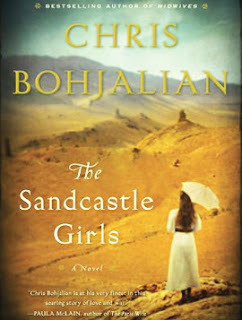 Although Endicott and Petrosian are the principal characters, Bohjalian does not limit points of view shared in The Sandcastles Girls. He brings to life many characters who are directly and indirectly entwined. They add a greater context of the genocide and a sense of scope to Aleppo and Gallipoli. In the beginning, the changing perspective can be jarring and disruptive. Even Petrosian sometimes feels like an interruption. But as the story takes hold and unfolds, it becomes clear that writing this novel any other way would not have worked. In providing a comprehensive view of this time in Armenian history, the author does more than tell a story of love, loss, and survival. By bridging Petrosian's research and her own memories with being Armenian-American (despite not knowing what that meant) and Endicott's life as a progressive woman who wanted to find more purpose in life, Bohjalian spans four generations, each with different ideas on how to think about what happened. In a sense, he simultaneously provides varied global views in 1915, transformative genealogical views over a century, and the story of two people who fell in love. The story of love, loss, and survival against all odds. By and large, the central plot line focuses on Endicott as a young American arriving in Aleppo. It is in Aleppo that she meets Armen, a young Armenian engineer, who has lost his wife and daughter. Although the two have feelings for each other, their informal and somewhat secret courtship comes to an end when Armen is forced to take flight from the Turks. He makes his way across the hostile countryside toward Egypt to join the British army. Endicott must also face hardships and place her life at risk. While Armen is introduced to trench warfare, she sees the so-called relocation camps firsthand. The only true comfort they find along their separate journeys are the increasingly transparent letters they write to one another, never knowing if any letter will survive. These letters, along with Petrosian's investigative tone in the modern world, provide well-paced breaks from a bleak and unforgiving world. So do the stories of everyone from Armenian survivors and diplomats to the German soldiers who defy orders and photograph the Armenian victims, but never with the ease of Petrosian. Bohjalian outdoes himself with a fantastic story that touches him personally and deeply. In doing so, he will touch you too. He doesn't even do it with atrocity, but with the courage of people in the face of it. The Sandcastle Girls by Chris Bohjalian Etches 8.2 On The Liquid Hip Richter Scale. Although the work is fiction, Bohjalian grounds much of the story in fact. He incorporates letters and accounts from real people in history, even if the characters who convey those words are fiction. And yes, the author says Petrosian is a female version of himself in many ways. He also traveled to Armenia and Armenian communities in Lebanon. The Sandcastle Girls: A Novel is available on Amazon and you can order the book from Barnes & Noble. 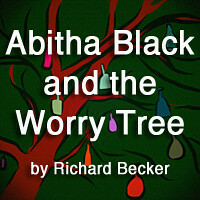 The novel is also on iBooks and as an audiobook on iTunes. The audiobook is read by Cassandra Campbell and Alison Fraser. Campbell, who takes on the bulk of the book, reads this story of regret despite making the best possible decision with conviction.